Painting... on the First Day of Art?!? It's summer and teachers everywhere are planning what they'll do during the new school year. I'm planning on what I WON'T do anymore. During the first week of art classes in my elementary art classroom, I used to spend a lot of time on rules. And procedures. And assigned seats. Don't forget the fire drill and lockdown drill procedure! After a few years I noticed that my young students were bored. "When are we going to do ART?" ​"What kind of art are we making today?" And many of their behaviors made it perfectly clear that they were NOT engaged. You know what I mean, right? So, a few years ago I saw that Ted Edinger tweeted about having his students paint on the first day of art. Say what? PAINT ON THE FIRST DAY? Surely, he was kidding. Nope. He wasn't. And I decided I was going to do it too. They loved painting on the first day of art! Before each class I made sure all the paints, tables and supplies were ready. I quickly went over the class list, showed them their seats, and then intro to paint! We painted dots like Mr.E did and we hung them up. Want to be crazy like me and Mr. E? Just make sure all your students know to bring their smocks in right away and be prepared for some excited young artists! 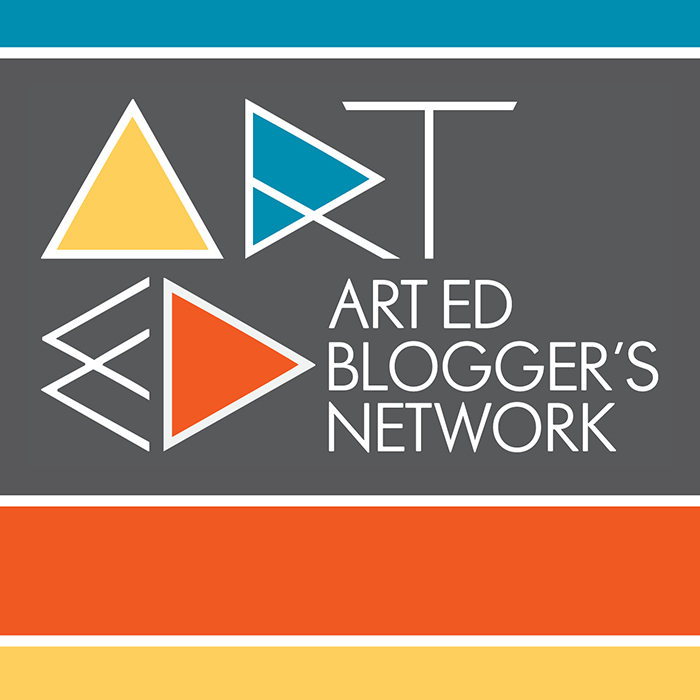 This post is a part of The Art Ed Blogger's Network: Monthly Tips and Inspiration from Art Teacher Blogs. On the second Tuesday each month, each of these art teacher blogs will post their best ideas on the same topic. Summer! As a teacher I know that I need the summer to de-stress and re-charge for the next school year. Honestly, if I didn’t have a summer break, I don’t know if I would have made it to my 32nd year of teaching. Yikes! That sounds like a lot, doesn’t it? Well, it is and it isn’t. Believe it or not, it goes by FAST. I stay current by participating in online art teacher groups on Facebook and Twitter. It is great to be able to interact with art teachers all over the world. All teachers need to take time to be learners. One of the best ways I have found to stay connected to what my students experience each day is to actually BE a life-long learner myself. I’ve been at this teaching thing a while, and I have experienced how new learning for me equals new understanding and empathy for how students learn. ​As an art teacher and mixed media artist, I love to spend part of my summer creating. This summer, I plan to play with my 15 inch Cricket Loom to see what else I can create. Last winter, I made some “mug rugs,” or coasters. The wool I used is really absorbent and the colors are just right for the living room. Weaving is one of my students’ favorite art mediums. I love working with fibers myself. I am thinking of writing a grant for some smaller Cricket Looms for fifth graders. I think they would love them because they would be able to weave longer items more quickly. Summer is here! What can you learn? No matter what you choose, be sure to reflect on being a student again. How does it feel? What do you want and expect as a learner? Can you apply your new learning and especially that feeling of being a learner to your teaching repertoire? This blog was first posted on Education Closet, July 2017.